Filos has a restaurant on site and available for your convenience which is fully equipped to meet all your delegates’ needs. They provide complete conference packages, half day and full day, which can be tailored to suit your specific needs including, AV equipment and catering. Two halls on the premises. Kikos hall can seat up to 150 people which is ideal for a medium sized conference, product launch or presentation. For larger groups our Main hall can seat up to 450 people. They are flexible enough to cater for your conferences from as few as 20 guests to as many as 450 attendees in cinema or banquet style. Experience the warm earthly atmosphere of the country at The Venue, Conference Venues SA’S newest conference venue listing in Silver Lakes, Pretoria. The Venue in Pretoria is a new, modern and elegant function and conference venue that caters for every need. Whether it is a birthday party, wedding or conference, they deliver outstanding service and advice to make your function a success. The romantic stone and thatch chapel with its magnificent stained glass windows set the perfect ambiance for memorable weddings. The chapel can seat up to 150 guests comfortably and boasts with its own antique pedal organ and Persian carpets. The exquisite function hall at The Venue in Pretoria oozes style and elegance that is combined with a rustic, warm atmosphere. The wrought iron candelabras set against the wooden beams and thatch roof lends for a truly magical ambiance. The Venue also has a Guest Lodge in a tranquil setting on the premises with a beautiful honeymoon suite and 15 en-suite rooms to accommodate your guests or conference delegates. They offer a full, one stop service for all your needs and requirements with excellent service and affordable rates. One of the attractions of The Venue in Pretoria is the Candle House which has its own candle factory with a large selection of candles and candle stands, centrepieces, and glass bowls. They also have an abundance of catering equipment and function or conference necessities for hire. This includes cutlery, crockery, table linen, chair covers, tables and chairs, glassware and decorations. The Candle House provides candles to most of the Function coordinators and florists around Pretoria. Their candles are of the highest quality, and they ensure longer burning times and less wastage. The candles are available for rent or to buy, and anybody is welcome to visit their showroom. The Venue will also assist with Function co-ordination, floral arrangements, photographers, Hair and Make-up artists and any other needs required for a function or conference. 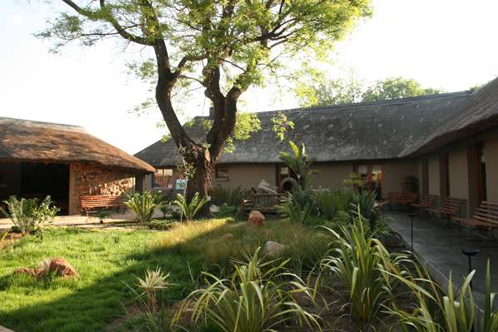 Come and enjoy the rustic atmosphere of The Venue for a country style wedding or out of town conference in Pretoria.